Have you ever tried to embroider on a knit fabric? If so, then you know it can be tricky since the fabric is so stretchy and can easily pucker. In this post I up-cycle a knit shirt and offer some tips along the way . Above, is the knit in question. Not that this shirt isn’t perfection on its own, but I decided to kick it up a notch. What made this ideal was the lettering. It gave me an easy boundary to work within. This was one of my all time most favorite concerts so I love working on this shirt and reminiscing. The first thing I did was to put some iron-on lightweight interfacing on the back of the area to be sewn. This helped to stabilize the fabric which helped keep the stitches even. 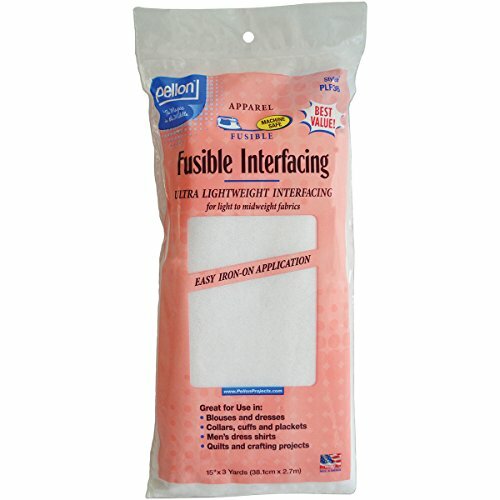 This is the kind of interfacing I use but there are many brands available that are great. This has a rough textured side and a smoother side. The rough side is the glue so you want the rough side to be facing the “wrong” side of the fabric (in this case the inside of the shirt underneath the lettering to be sewn.) I placed the interfacing rough side up on the ironing board then placed the inside of the shirt over the interfacing (which I had cut to size) and ironed/pressed until the interfacing had adhered to the shirt. Next I placed the area to be sewn into a wooden hoop. The key is to pull the edges gently enough to straighten out the fabric but not too tight so as to stretch the fabric. If the fabric is too stretched out, the stitches will look loose when you pull the shirt out of the hoop. The stabilizer really helps with this, too. Now start stitching! I just improvised and let my hand take over. I started by filling in a large area with a WOVEN WHEEL flower. Very curious to see if this can withstand a washing (?) I ended up reinforcing it a little since the edges felt a little loose which I will show you later. LAZY DAISY is a great petal-like filler around the woven wheel. I threw in some random BULLION KNOTS and FRENCH KNOTS for interest. I added some little silver beads in the middle of the flowers. Clearly taking on a floral theme here. I added some COUCHING to the woven wheel in the hopes that it will stabilize it for washing plus I kind of liked the decorative effect it added. I kept filling in empty spaces with knots, petals and cross stitching. Note the FEATHER STITCH on the bottom right. I loved the spontaneity of this project and practicing my stitches. I even tried out the TRELLIS STITCH in the “7” and was worried that the long stitches would pull the fabric but the stabilizer really did it’s job. Hope this inspired you to grab an old shirt and give it some new life! Great practice for your beginner stitches. If you click on any of the capitalized stitches above you will get a tutorial on how to make it. Interfacing on the back of the fabric to stabilize the stitches. Hoop to straighten the fabric but not too tightly. If you would like to learn/practice some beginner stitches, see my sampler HERE at my Lovestitchery shop on Etsy. It also has lots of patterns to practice your stitches. Happy Stitching and thanks for stopping by!